I am a Civil Engineer in profession specializing in Quantity Surveying works. I have 5 years experience in Construction Industry and have been part of Estimation/Tendering Department...Read moreI am a Civil Engineer in profession specializing in Quantity Surveying works. 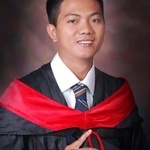 I have 5 years experience in Construction Industry and have been part of Estimation/Tendering Department since started working here in the Philippines and Saudi Arabia. I can do all quantity takeoff duties of civil works and buildings with high regards to architectural and structural components.